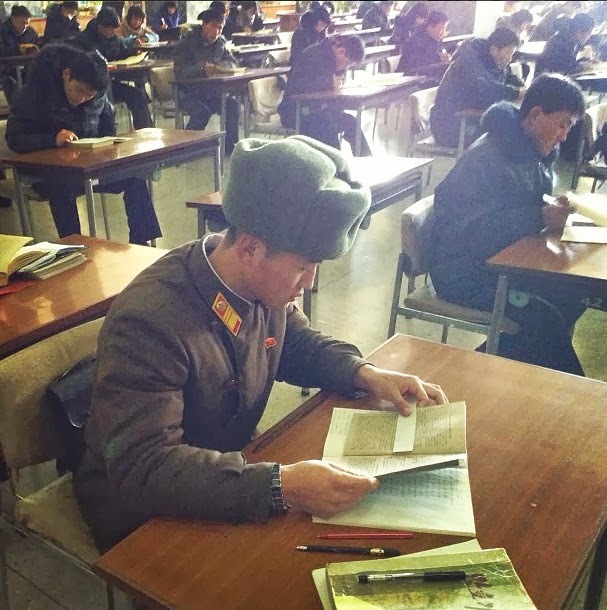 North Korean soldier reading at the Grand People’s Study House. 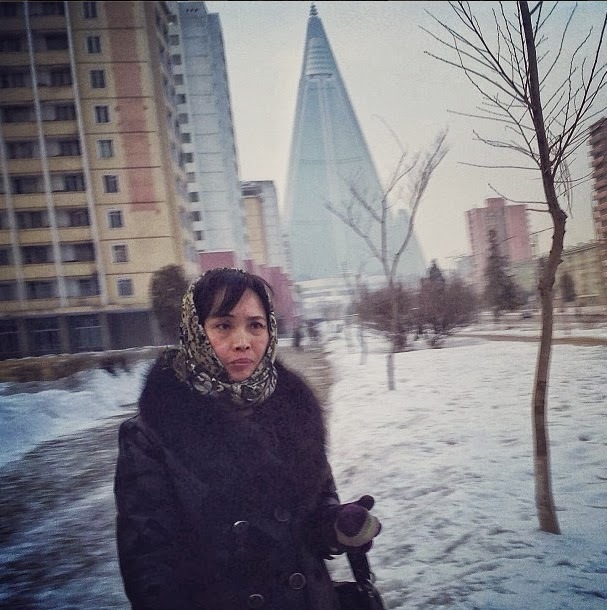 North Korean lady and yet to be completed 105-story Ryugyong Hotel in Pyongyang. 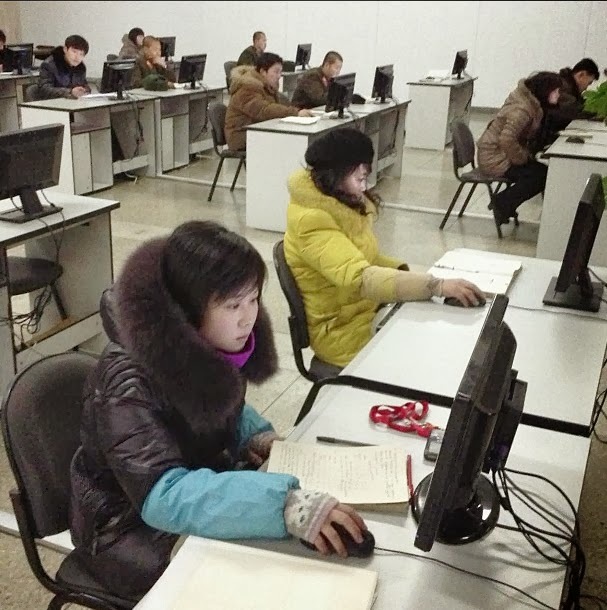 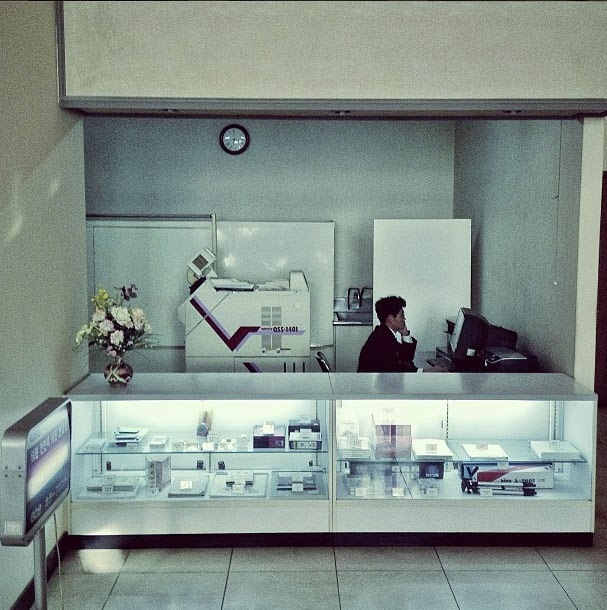 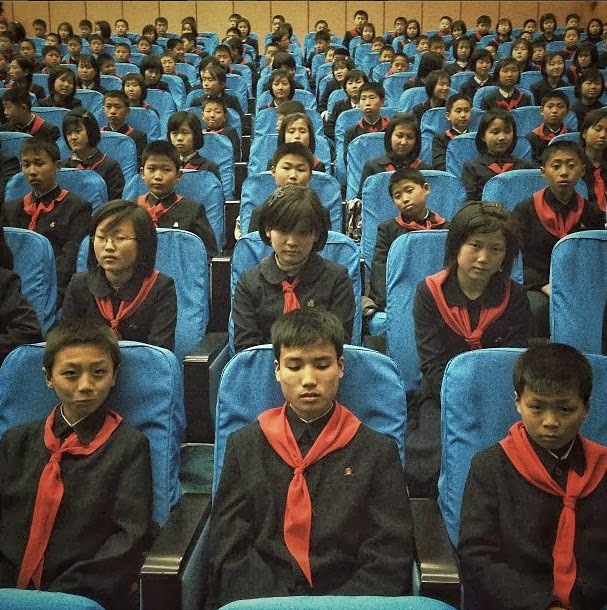 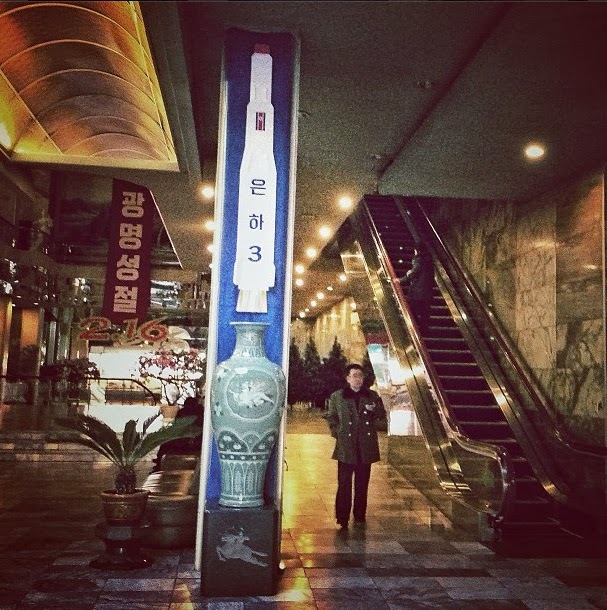 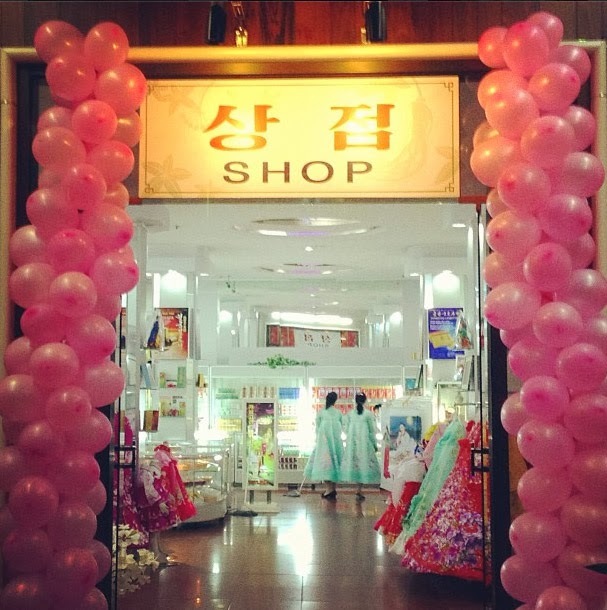 An image of North Korea’s recently launched Unha-3 rocket in a Pyongyang Hotel. 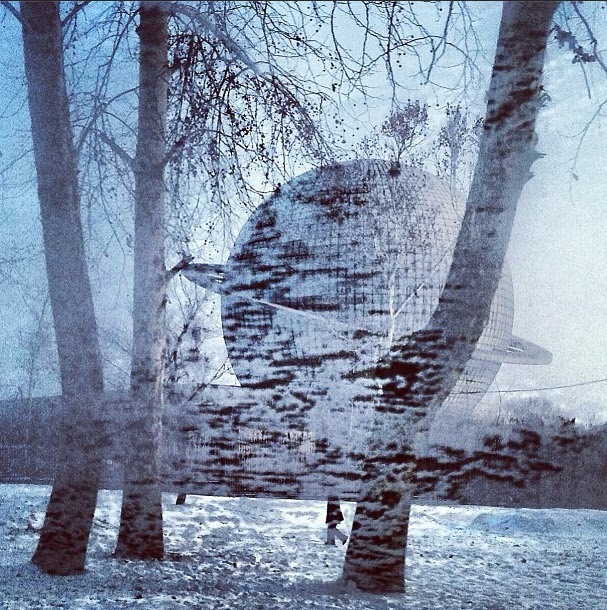 Saturn shaped planetarium named Three Revolution Exhibition Hall. 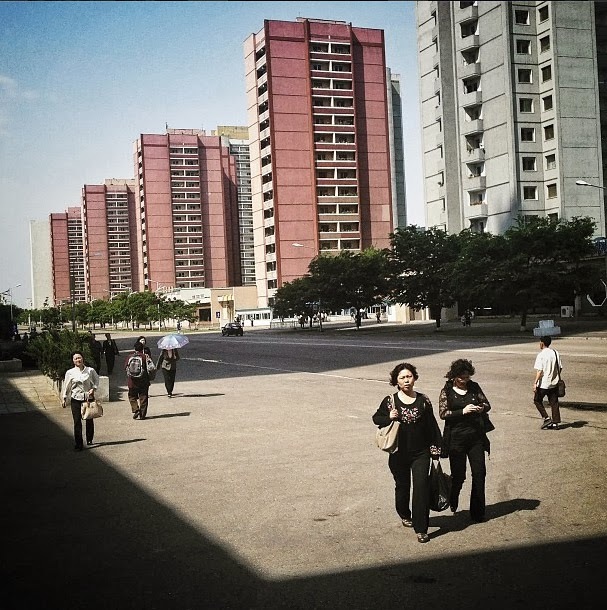 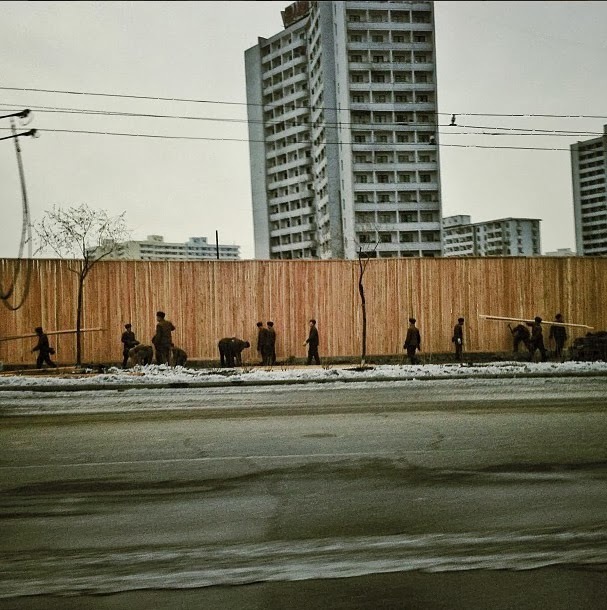 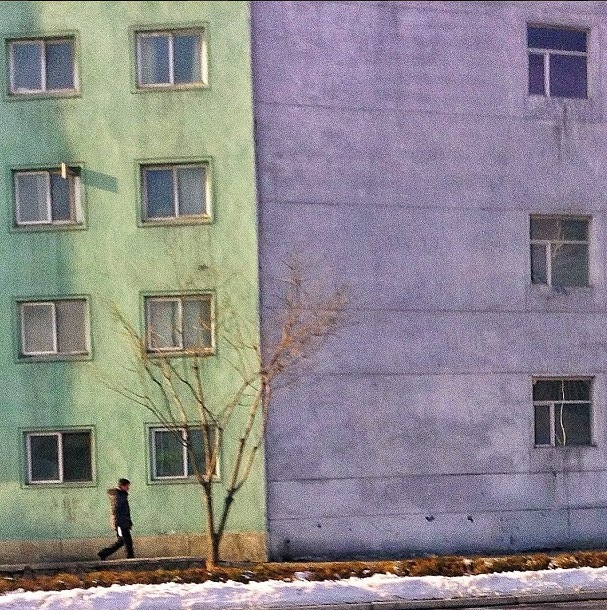 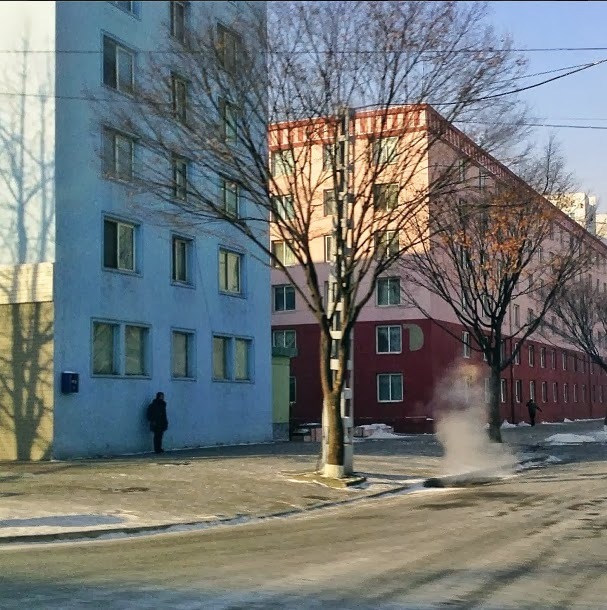 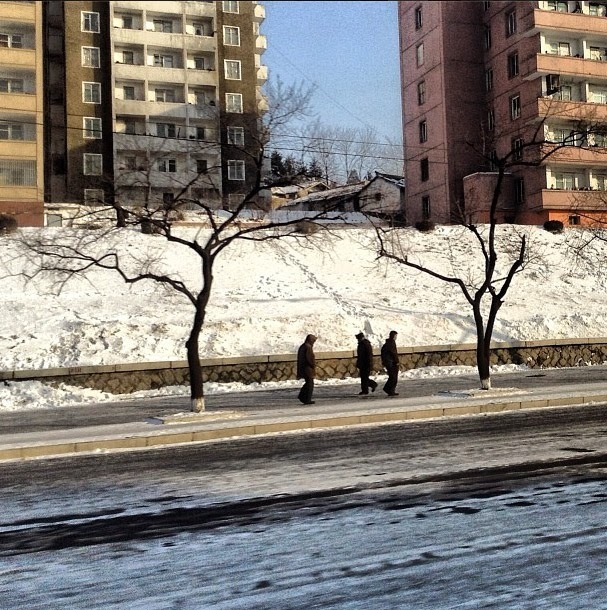 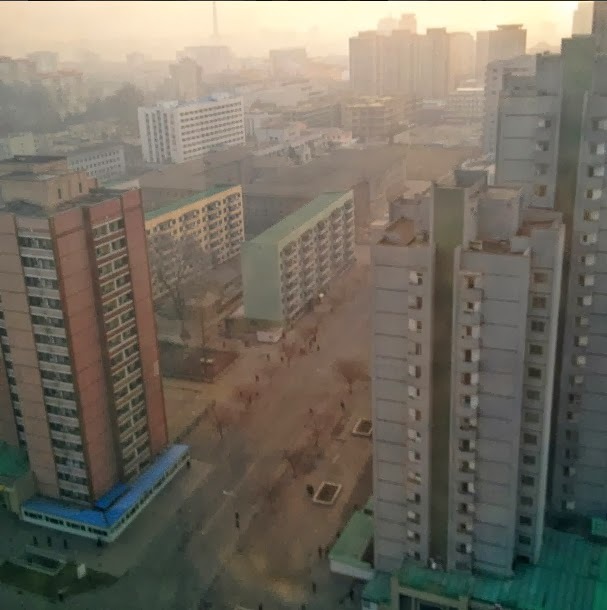 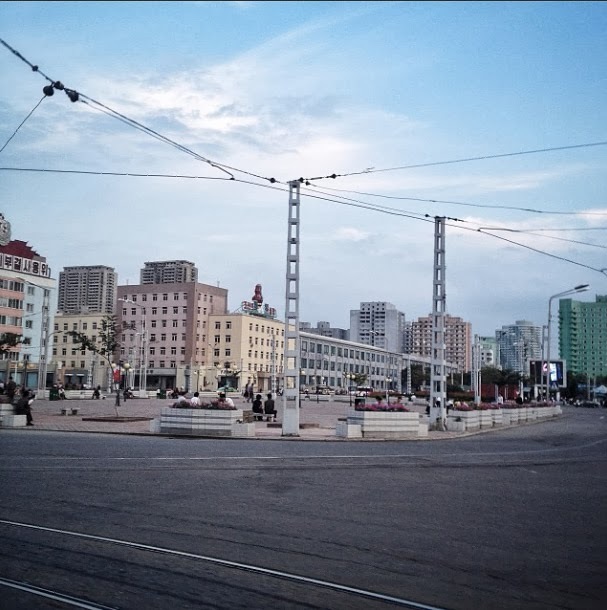 Pastel painted buildings in Pyongyang. 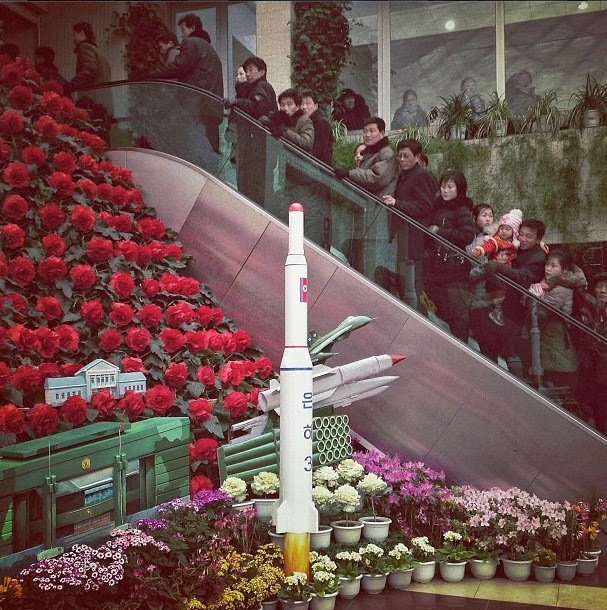 Model of Unha-3 rocket in Pyongyang. 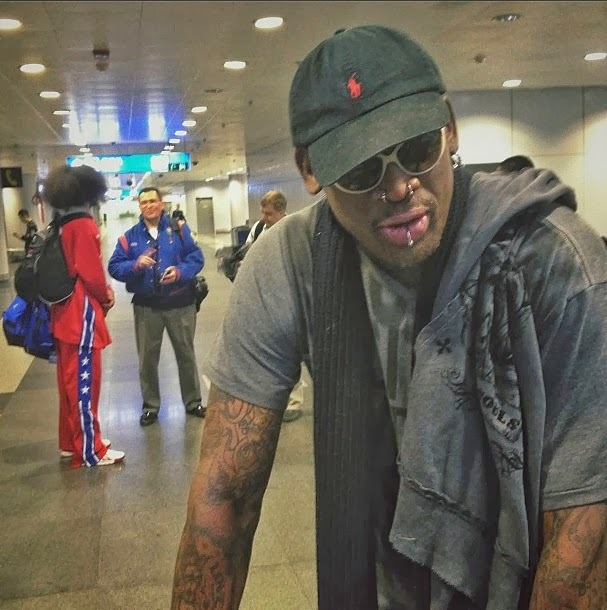 Dennis Rodman in at Beijing airport on his way to North Korea. 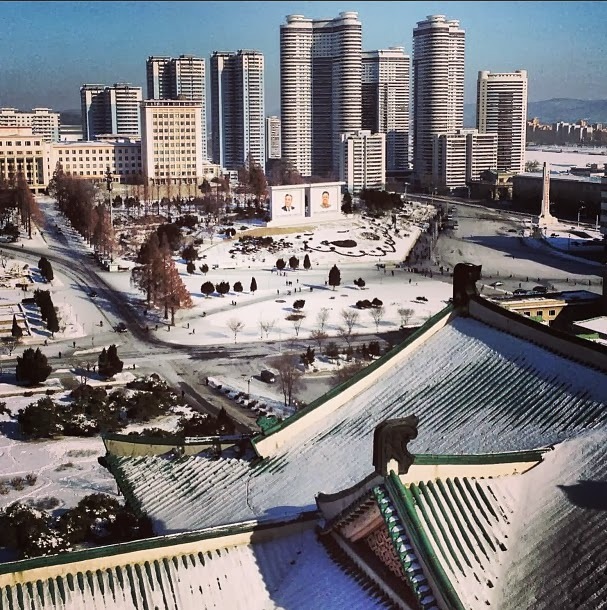 View from The Grand People’s Study House. 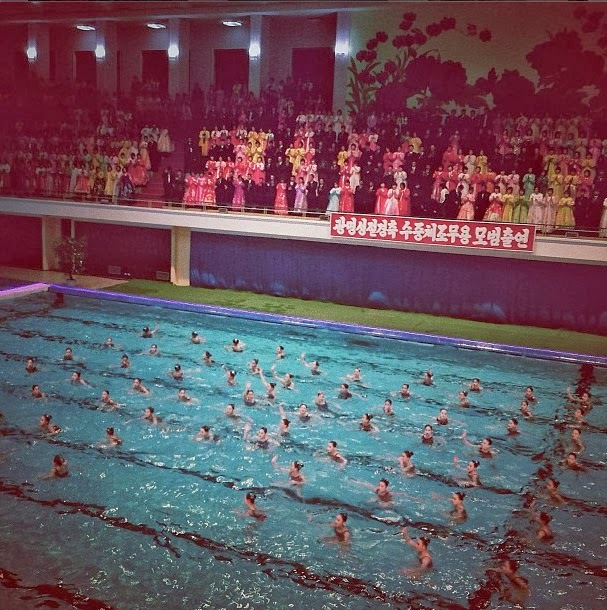 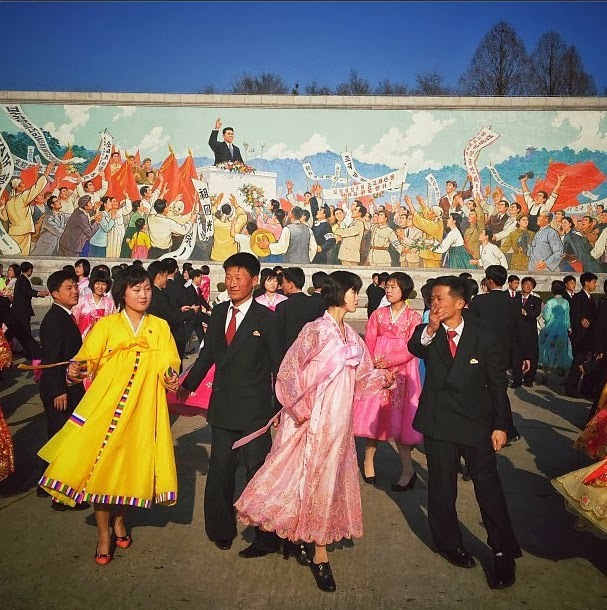 Notice the two huge mosaics of two Kim’s in the middle of the photo. 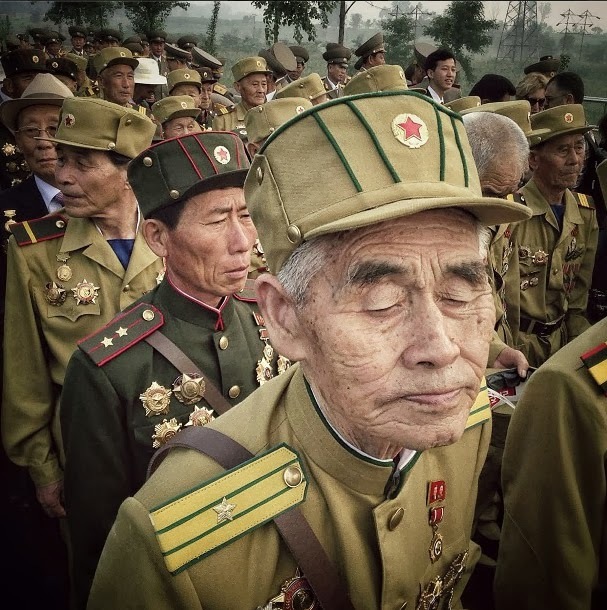 The Grand People’s Study House. 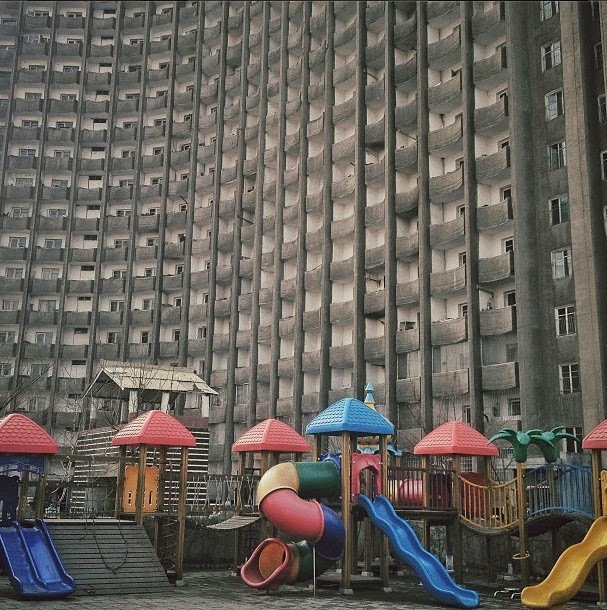 Playground in front of a building. 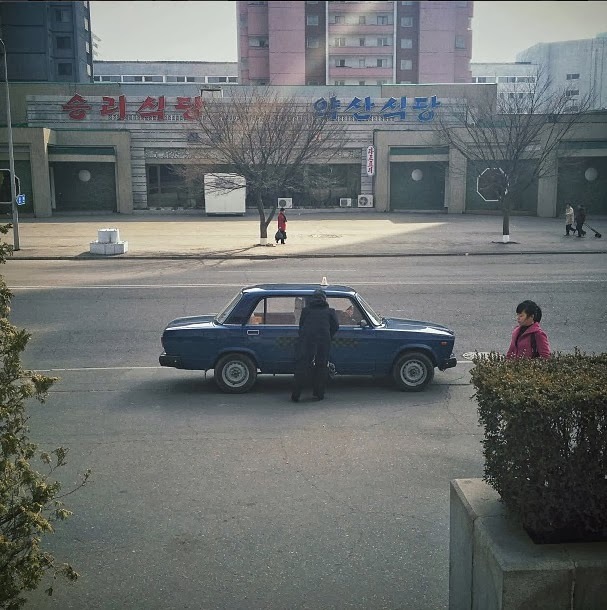 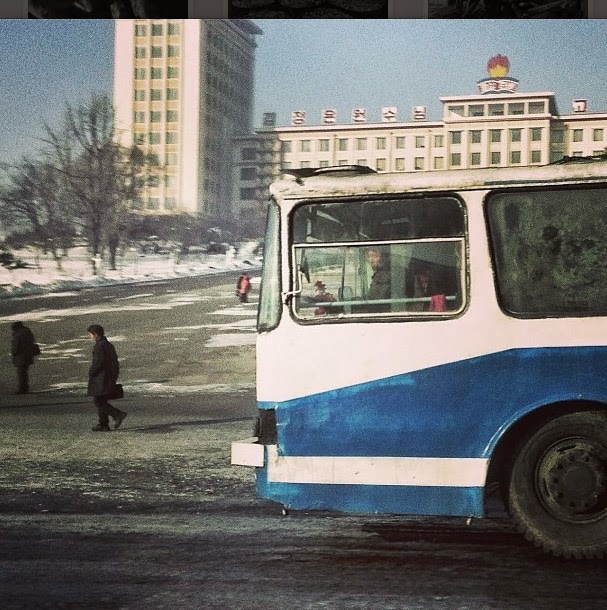 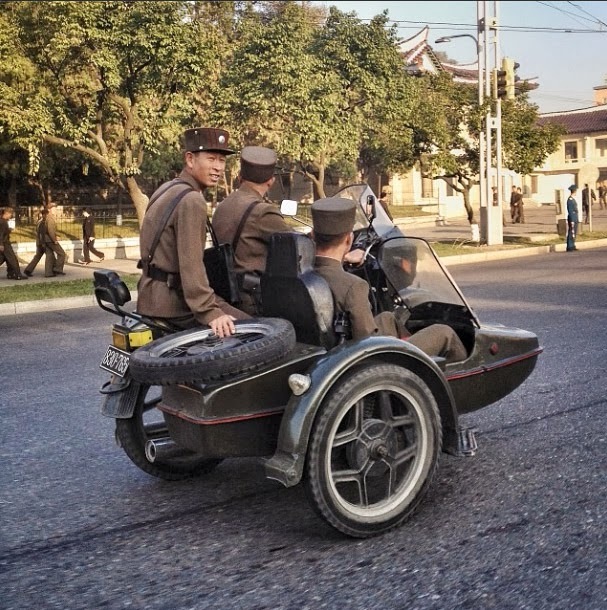 A taxi in Pyongyang streets. 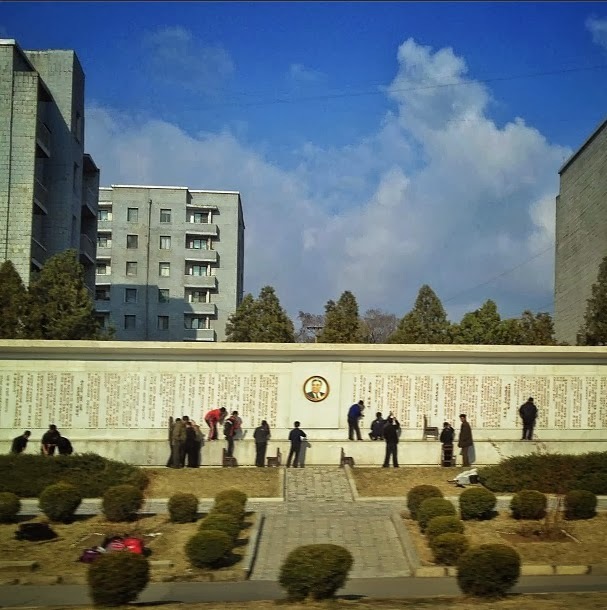 Roadside monument to Kim Il Sung. 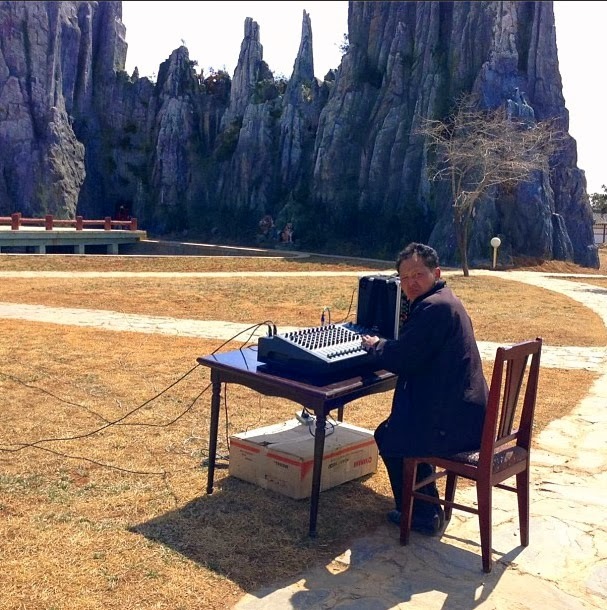 Guy manning the sound board for a performance. 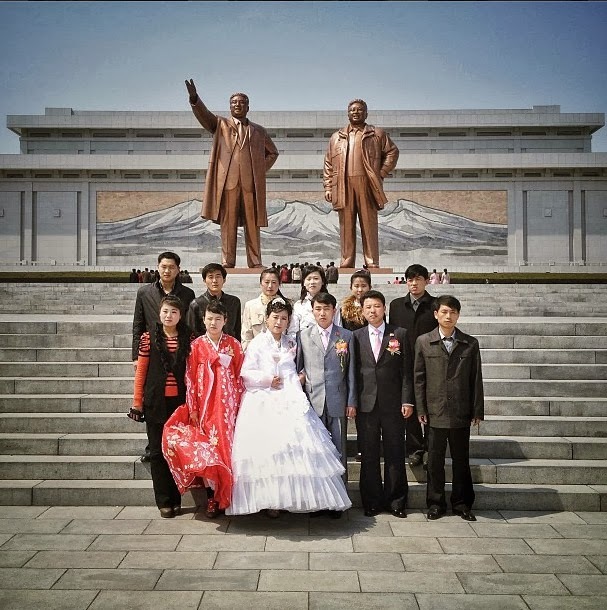 Wedding portrait in front of the two Kim’s statues. 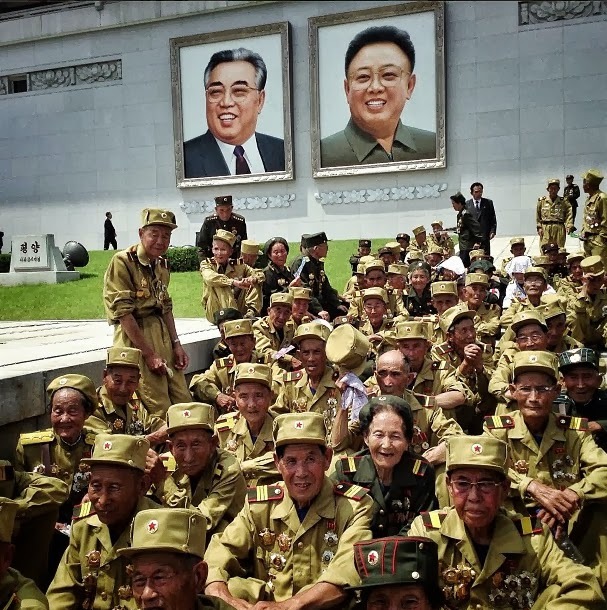 North Korean veterans of the Korean War sitting under the two Kim’s portraits. 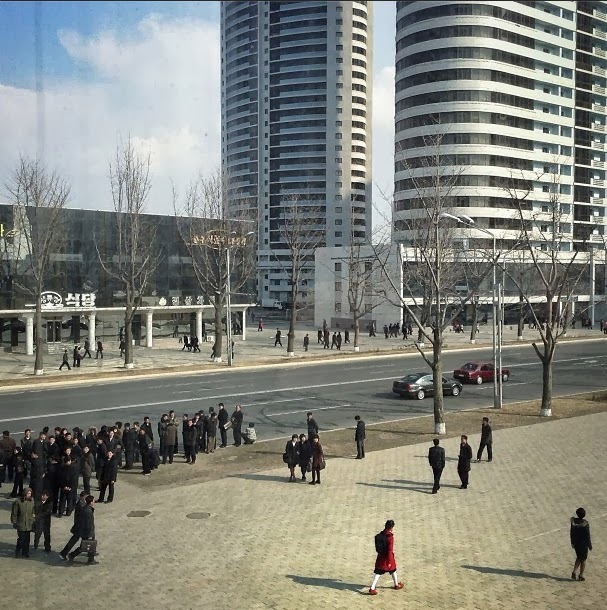 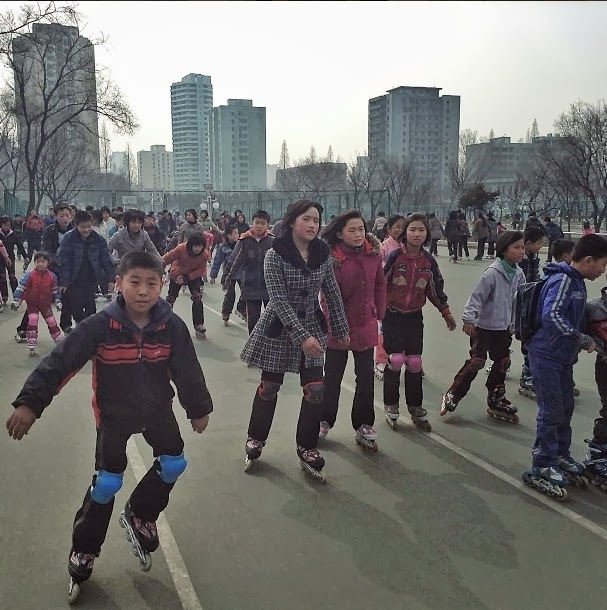 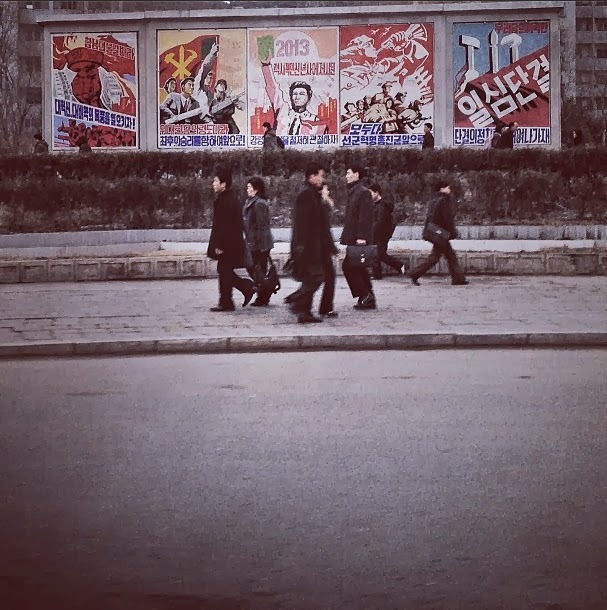 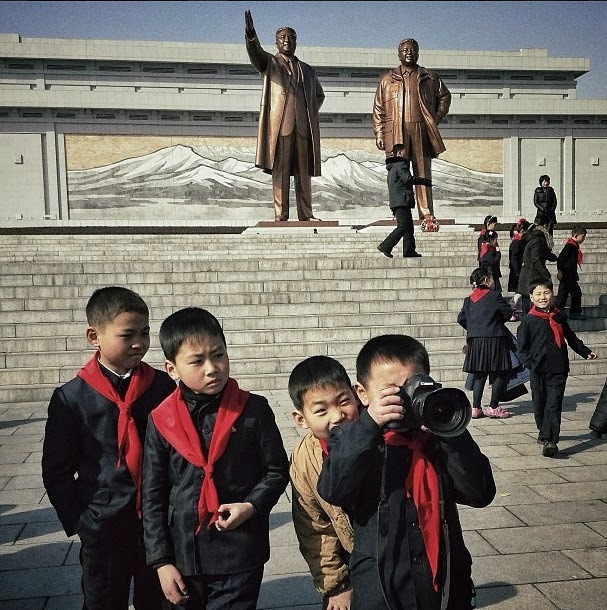 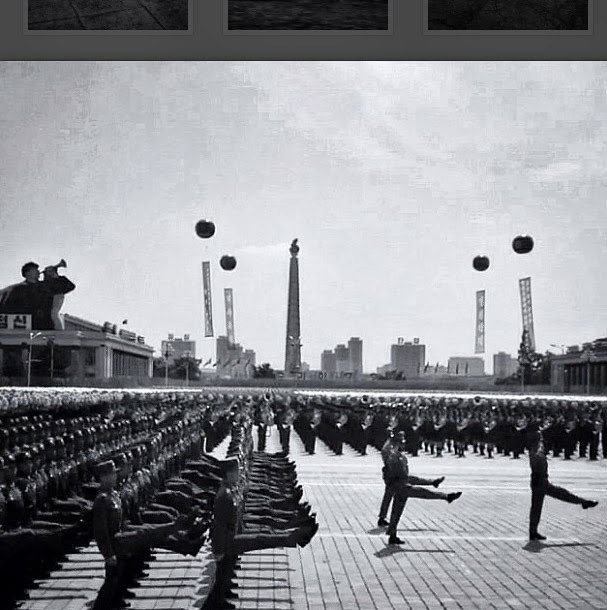 Troops march on Kim Il Sung Square. 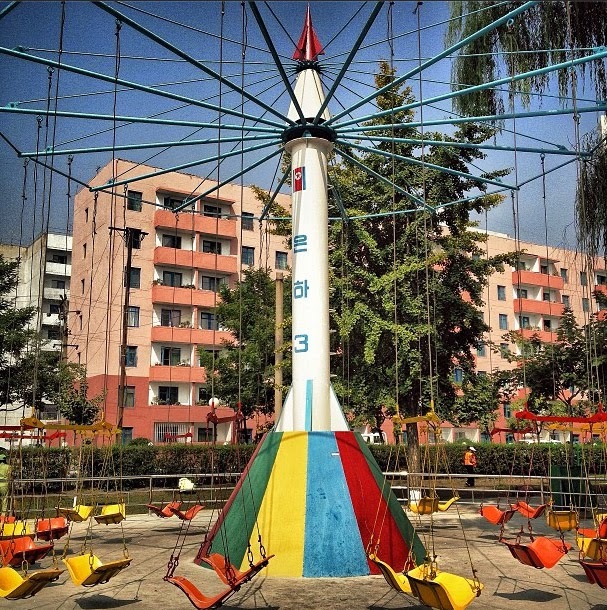 A park swing looking like the North Korean Unha-3 rocket. 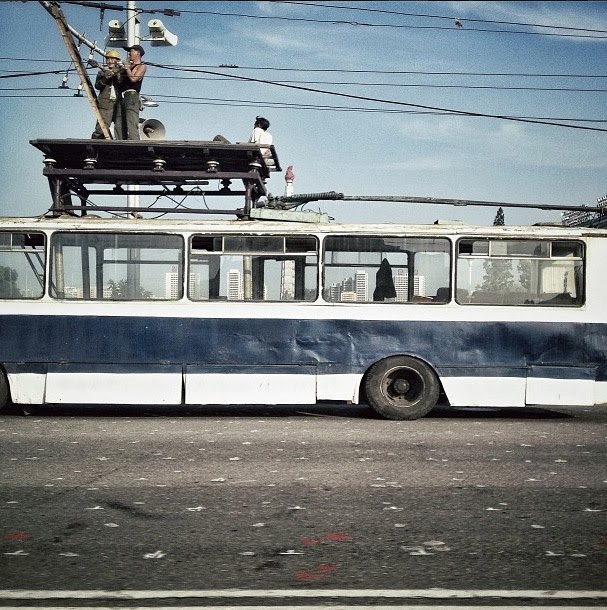 Trolleybus being fixed in the capital. 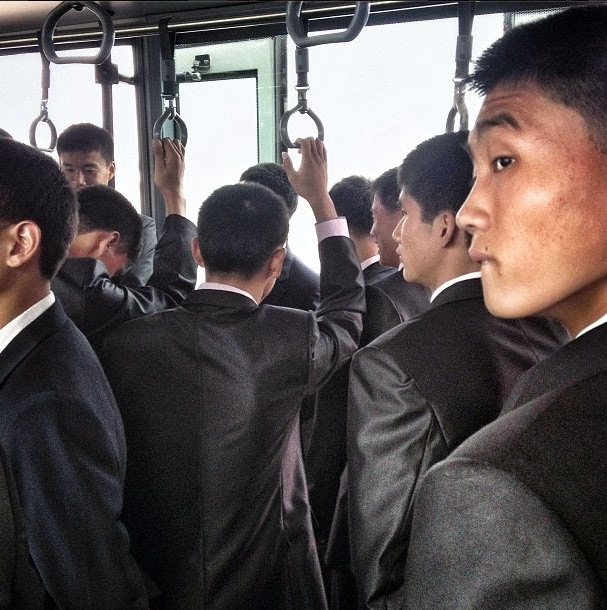 Men on an airport transport bus. 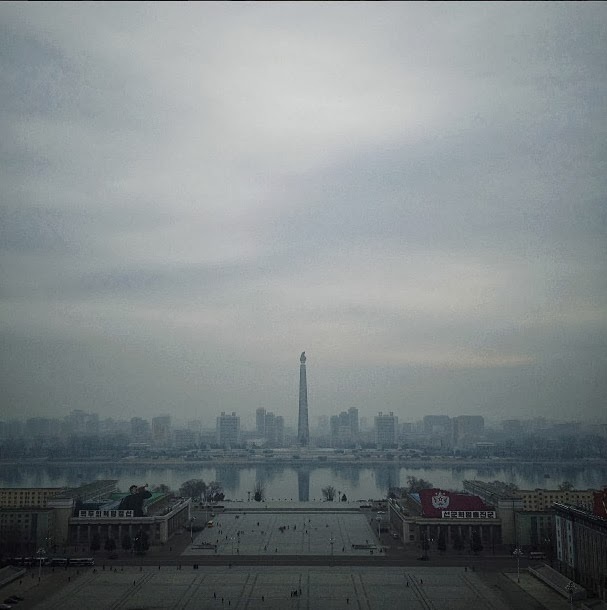 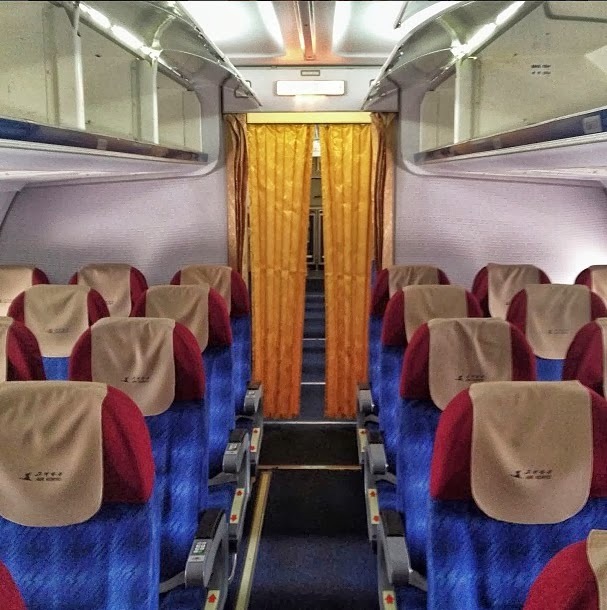 On board of an Air Koryo flight to Beijing. 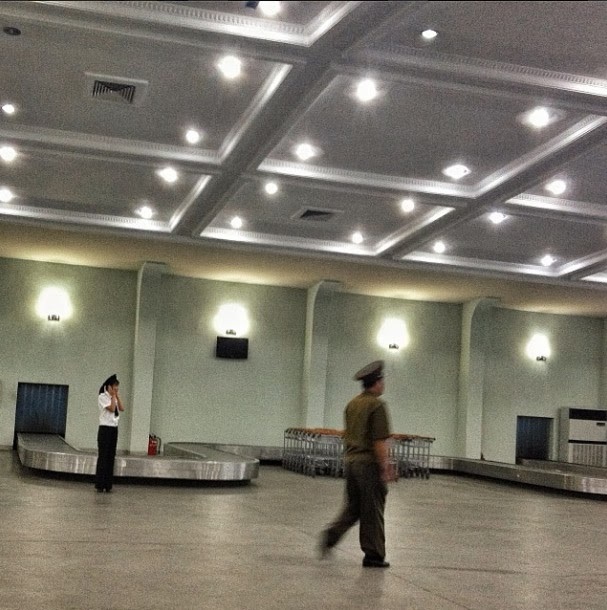 Baggage claim at the airport. 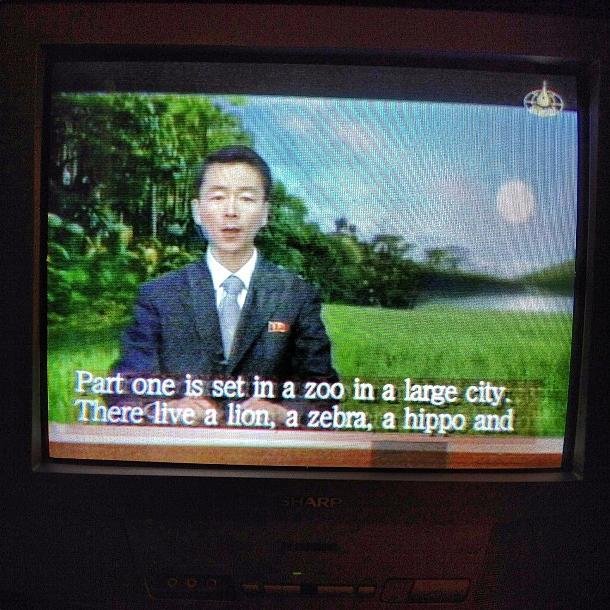 TV host explaining Madagascar movie’s plot before it was broadcasted.